Bad things happen in the UK, because we either don't complain, OR when we do so, we are not heard. Therefore the same mistakes happen time and time again. Personally, I have encountered this in a very mild way. When seeing my GP to let her know about pregnancy, she started talking about the injections that would be required. A friend had recently had a baby in the UK, followed by a 2nd baby in Portugal. She said Portugal was WAY better and gave the example that instead of several injections, the bottle at the end was changed, while the needle stayed in. I expressed this to the Doctor, who didn't at the time question my preference for this. Over a year later, when Aaron was VERY sick with a cough, we went there. I was a stressed first time new Mum, over protective, and during the conversation, she said "you don't like the NHS anyway", and she totally threw me. I obviously asked her to expand and she read from her notes, which she'd spent time writing instead of seeing her next patient. Her notes were tainted by what she HEARD not by what I said. I was so hurt by this I ran out of the GP Surgery crying. When my husband got me back, I was composed enough to explain to her that I am TERRIFIED of needles and injections, so of course I had a preference for that way of doing things and I expressed a hope that whichever Maternity Unit I would go to in the UK would do it THAT way. She apologised profusely and gave me a hug. It was enlightening to say the least, that such notes were made about me, so the hug's rosey glow did not last long. I spoke with my feet, and changed practices. If I had really used my VOICE I would have written a letter to the Practice Manager. If the GP had spent more time connecting with me, and asking me the reasons for why I felt the way that I did, instead of spending that time typing up BITTER notes after I left the room, it would have been healthier for us both. And no, I wasn't antagonistic. I had just found out I was expecting. My excitement was bouncing off the walls. Fast forward, Aaron's now at nursery, and I make a complaint to them about how their Deputy Head spoke to me. Rather than get her in a room with me, and get her to apologise, they did a HUGE "investigation" that only made everything worse for everyone. It was the equivalent of hitting a nail with a bulldozer instead of a hammer. So what I would say is, yes, us British need to complain, but the SERVICE industry, in this case PUBLIC SERVICES, need to treat us as THEIR customer and LISTEN, with an open heart and without the PREJUDICE, that makes them TOO DEFENSIVE to HEAR what we are actually saying. It's like an open heart meets a closed heart. So yes, the system needs more heart! If Britain (the public) was a body, I would say its throat chakra needs activating. That's US, we need to SPEAK UP more - i.e. unmute! If public services was a body I would say that their heart chakra needs activating. Show compassion and understanding for the issues put in front of you. I don't need to tell you about the huge revelations that are coming out daily in the press. They are things that have been known in certain circles for decades, but the voice to complain about it, to talk about it has been muted. So we can blame the media, blame the press. But no, let's get off the stadium's seating stands, and instead let's make a stand, get active ON at the pitch. Instead of observing "the game" let's become a voice in the game. Let's become active. Let's sign a few petitions. Let's use our VOICE for GOOD. 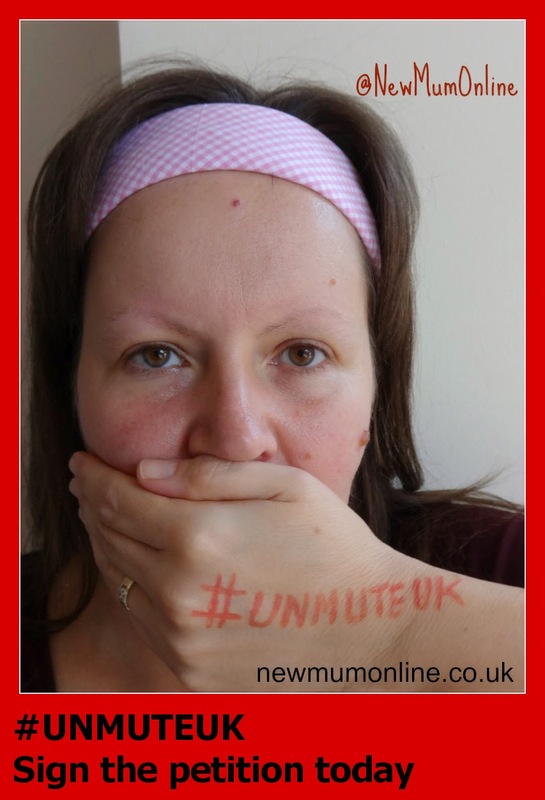 "Which" has started a FABULOUS campaign called UNMUTE UK. It's a campaign to tackle the public complaints system. Consumer watchdog Which? has teamed up with electronic maestro DJ Jakwob and spoken word master George the Poet to create a soundtrack to support this cause. To represent the sense of voicelessness experienced by millions across the UK, the track will be muted until we reach our target of 50,000 signatures. Once we’ve reached our goal we’ll unlock the full video and unmute the exclusive track. When they do, they will unlock the video and we can watch the full track, which I have no doubt will be awesome. Let's make a difference UK, starting today. "It's a sad fact that most people across the UK feel powerless about our public services. At a time when education, healthcare and other public services are changing so much, we want people to feel empowered with the knowledge that they have a say - and that this can make a difference. And not just for the public, but for the people who work in public services too (who are often, just as frustrated!). “Muting it is a statement of solidarity. We've all experienced having our voices ignored. When people in the UK complain about schools, health and social care, their complaints are rarely listened to or acted on, so the same mistakes happen again and again. Help Which? 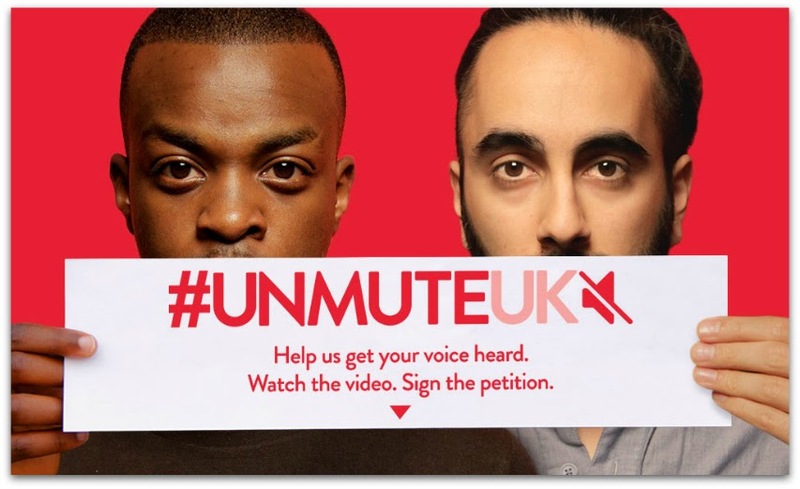 get your voices heard and we'll unmute the track” says George the Poet. - Give people a role in triggering inspections by regulators through their complaints. - Give people a unified public services ombudsman which can swiftly deal with their unresolved complaints. - Give people a voice by allowing representative groups to make super-complaints in our public services, as they do in private markets. To ensure that we can turn the tide in how complaints are dealt with, to give a voice to the public and hold public services to account, we’re calling on the nation to sign our petition to both unmute the video and the nation too". Disclosure: this is a sponsored post. All words and sentiments are my own, apart from extracts, which I have included to better explain the campaign. This is an issue I feel rather strongly about, I hope you do too. You're so right - we don't complain enough. Thanks for the great post highlighting an important cause. A great campaign. I have first hand experience of the horrors of Stafford hospital. People need o find their voice and be heard. You are right! First off - I felt enraged to read what you went through with the needle fiasco. That is unreal! You are right that the public sector need a bit more heart and compassion. Yes there's a lot I should have complained about but haven't. You are so right. In the Health Service in particular we had no end of trouble as we didn't formally correct so many errors in our children's notes, clinic letters etc. I have learned my lesson the hard way and complain/speak out every.single.time now. I've signed this too. I wish I'd complained about the crap breastfeeding advice I got with my first daughter from GPs. I can't remember the details anymore though. I've signed! This is such an important campaign! I must agree, you Brits like to keep everything in... I on the other hand speak up way too much... some balance would be in order. Off to sigh campaign too!